Description: Enjoy cool tunes, craft brews and sweet views with these up-and-coming artists as well as everyone’s favorite cast iron statue, Vulcan. 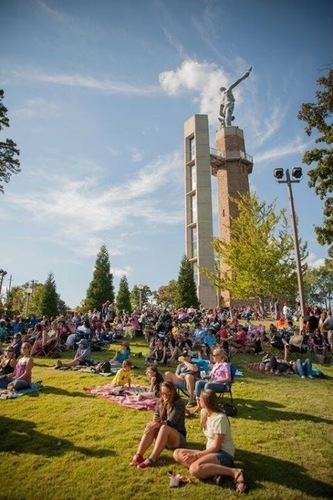 Chill out in Birmingham’s backyard with your lawn chairs and blankets and bring the whole family out to enjoy some of the country’s best new entertainers. Gates open at 1:00 p.m. Tickets and seating are first-come, first-served. Light snacks, beer, wine and soft drinks will be available for purchase. No pets or outside alcohol allowed. Tickets are $18 for adults in advance ($20 at the gate), $10 for members in advance ($12 at the gate), and $8 for children. Children ages 4 and under are free.